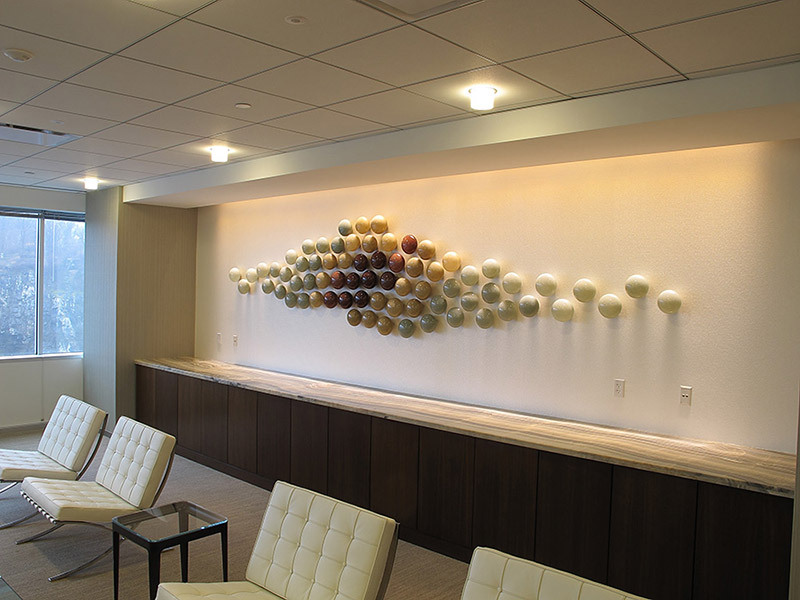 This contemporary art glass wall sculpture installation was commissioned by the Endo Corporation located in Malvern, PA. 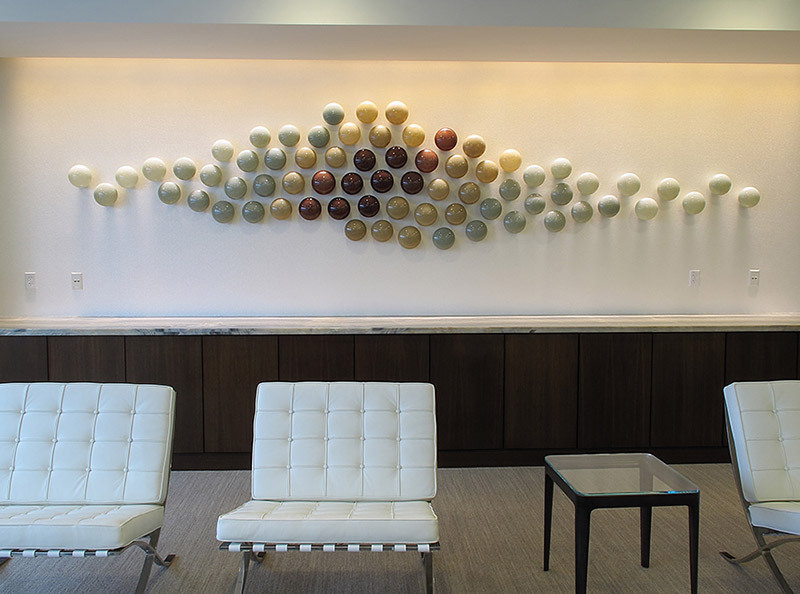 This modern glass art design was inspired by the surrounding environment of a nearby rock quarry. The warm color tones and grays of the hand blown glass forms play off of the view of the rock quarry. 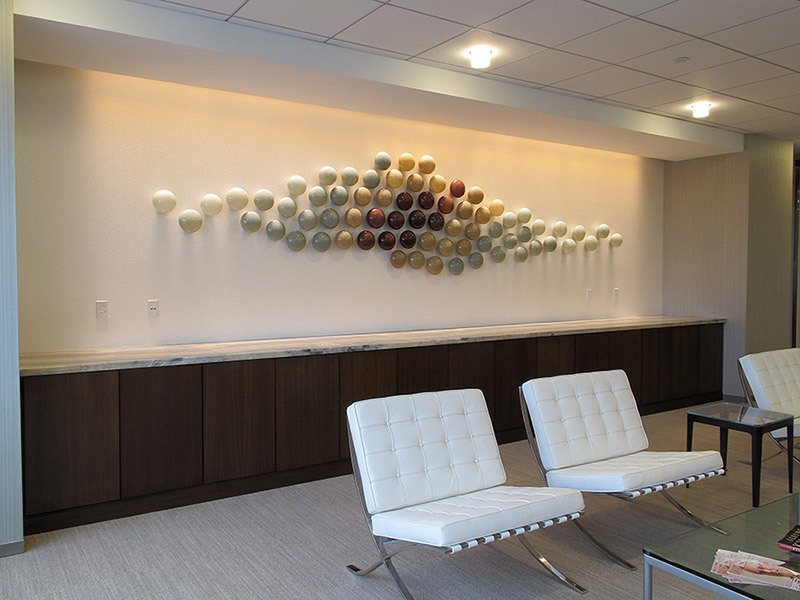 This glass sculpture installation was facilitated through Kate Sweeney, Founder of Perspective, an art advisory firm based in London, UK.